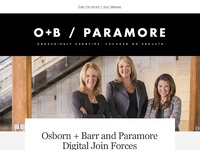 I'm excited to announce that Paramore Digital has been acquired by Osborn Barr. 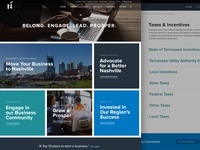 They have offices in St. Louis, Kansas City, and now... Nashville! 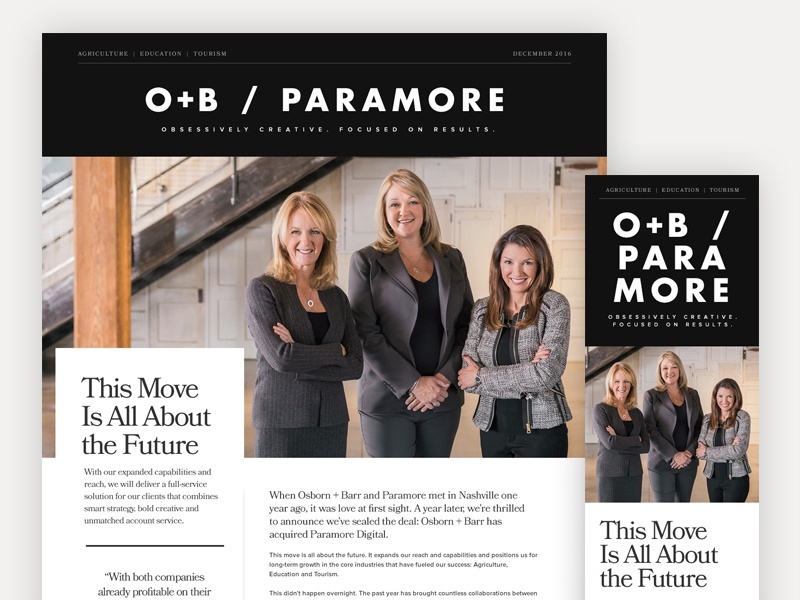 Our name/brand won't change, but our capabilities definitely will. Looking forward to what the future holds.